Nasal fractures, or broken noses, result from facial injuries in contact sports or falls. When a physical fight or car accident results in a broken nose, there is more than just appearance to consider. While many NYC patients may often have to contend with a significant alteration to his or her appearance, they may also experience difficulty breathing. 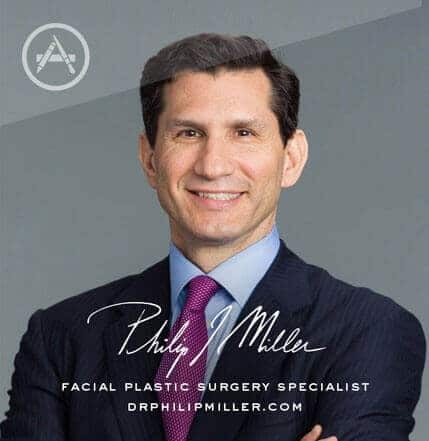 Dr. Philip J. Miller specializes in the cosmetic and structural repair of broken noses in NYC damaged through accident or trauma. You can call Dr. Miller to set up your broken nose or nasal fracture consultation and surgery. Dr. Miller accepts most POS and PPO insurances for any medical issues related to the nose as an out of network provider. Please contact us today to find out. How Can A Broken Nose Be Treated? While some broken noses can be resolved with a basic alignment procedure, in most cases surgery is needed to restore full functionality and appearance to the nose. Depending on the severity of the break, one or more procedures may be required. There is a 7 to 14-day window after nasal trauma when the fractured bone can be put back into its original position. This can be done without breaking the bones again, or requiring any advanced techniques. It simply requires the patient to be adequately anesthetize a long the nose such that manipulation does not cause any discomfort or pain. After the 14-day window, the displaced nasal bones have already begun to heal and have formed firm attachments to their new position. As such, a more involved procedure is required to realign the bones. An open reduction means that incisions inside the nose have to be made in the bones read broken. An open reduction can be avoided if the patient is seen and treated within the first 7 to 14 days after nasal trauma. 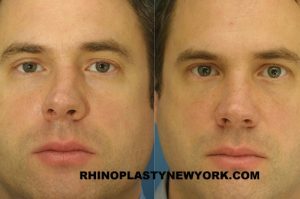 Also commonly called a “nose job”, a rhinoplasty procedure is performed by a skilled facial plastic surgeon that uses a variety of techniques to restore the appearance of the nose. Nasal bones and cartilage are modified or removed and tissue is sometimes added for reshaping the structure of the nose. The skin of the nose remains unaltered. However, once the underlying bone structure is revised, the skin conforms to the new shape, resulting in an impressive final result. While performing a concomitant rhinoplasty with a close reduction of the nasal fracture is typically uncommon, many patients with a long-standing nasal fracture who have elected to undergo an open reduction, as discussed above, will elect to simultaneously get refinement of the nasal contour. Septoplasty allows the surgeon to realign the wall between the two nostrils – the septum – to achieve balance and symmetry within the two nasal cavities. In many nose break cases, the septum can become very misshapen. In turn, this causes breathing difficulties, as either one or both of the nasal cavities becomes blocked. Visit Our GalleryWhether one or both procedures will be required, depends on the severity of the break. 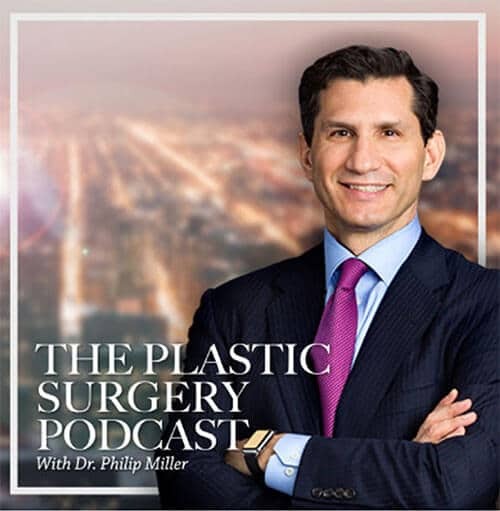 Dr. Miller regularly performs close reduction, open reduction, rhinoplasty and septoplasty procedures in his NYC office for patients who have suffered broken noses as a result of accidents or trauma. 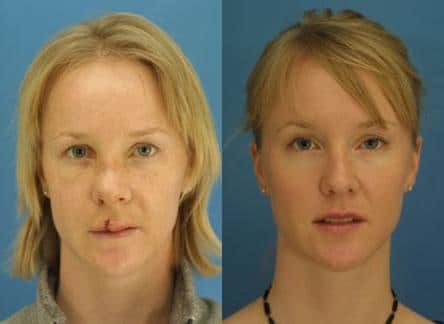 How Is Broken Nose Surgery Performed? Every broken nose evaluation starts with an initial office consultation with Dr. Miller. Dr. Miller examines the patient’s nose and facial structure, assesses the structural damage and makes recommendations to restore the nose. X-rays will be reviewed or ordered as seen necessary. Dr. Miller also carefully explains any potential limitations suggested by the patient’s existing nasal structure and skin condition. Pre-operative photographs will also be taken at this time. The patient arrives at Dr. Miller’s accredited, office-based surgical suite in NYC, and is prepped for the outpatient procedure. The patient is sedated with either a general anesthesia or intravenous medication to ensure comfort throughout the procedure, and the procedure begins. Depending on the shape and contours of the patient’s damaged nose, Dr. Miller will perform one or a combination of the listed above to access the interior nasal structure. Once he has completed his work, the incisions are closed with stitches, nasal packing may be used to control bleeding, and a light cast is placed over the nose to control swelling and provide support. Any nasal packing is removed before the patient is sent home. The cast is removed after one week. Since nose break surgery is an outpatient procedure, patients can go home shortly after surgery. If general anesthesia was administered, the patient cannot drive and must be accompanied by someone for the trip home and in the hours immediately following the procedure. Pain medication will be prescribed and the patient should expect some swelling, stuffiness and bruising in the first few days after surgery. This will clear up in a few weeks. Patients can usually return to work and daily activities within one week, but should avoid rigorous physical activity for 3-6 weeks following the nose job surgery. Throughout the recovery period, patients who wear glasses should avoid resting them on the bridge of the nose. What Are The Benefits Of Nose Job Surgery? Broken nose surgery can restore the nose to it’s pre-accident or original condition. In many cases, a rhinoplasty procedure can result even make improvements, resulting in a new nose that is more symmetrical and streamlined than the nose prior to the break. Patients often comment that they love their “new nose” even more than the old one. When the inner nasal structure is broken, irregular or difficult breathing can result. During broken nose surgery, the inner nose can be reshaped to correct these issues, allowing the patient to finally breathe normally. Obstructed breathing can lead to a host of health issues. By restoring the nasal airflow, nose job surgery can help a patient avoid common health issues related to poor nasal airflow. Nothing can make a patient more self-conscious than the disfigured nose after a nose break. With the right surgical procedures, the patient can once again enjoy a natural looking nose and the boosted self-confidence that comes along with it. 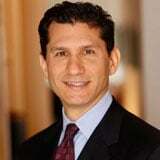 How Can I Learn More About Broken Nose Surgery? If you have suffered a broken nose as the result of traumatic accident or injury and are now suffering from breathing difficulties or an undesirably altered appearance, you may be an excellent candidate for broken nose surgery. The best way to determine if broken nose surgery is right for you is to set up a consultation with Dr. Miller in his NYC office. Please call us our practice in New York City or complete the convenient contact form to request more information. One of our helpful Patient Advisers will get back to you as soon as possible to schedule your consultation. Next, learn about ethnic rhinoplasty.